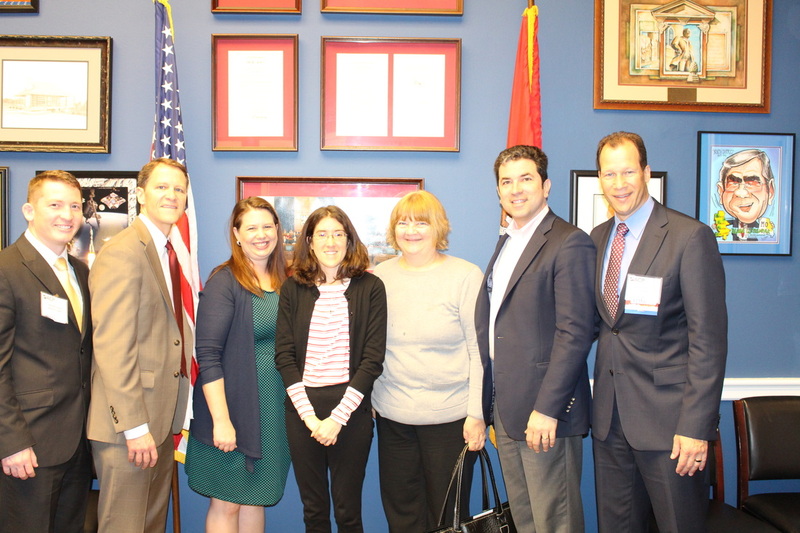 Your Missouri delegation participates in Leadership Day each year. 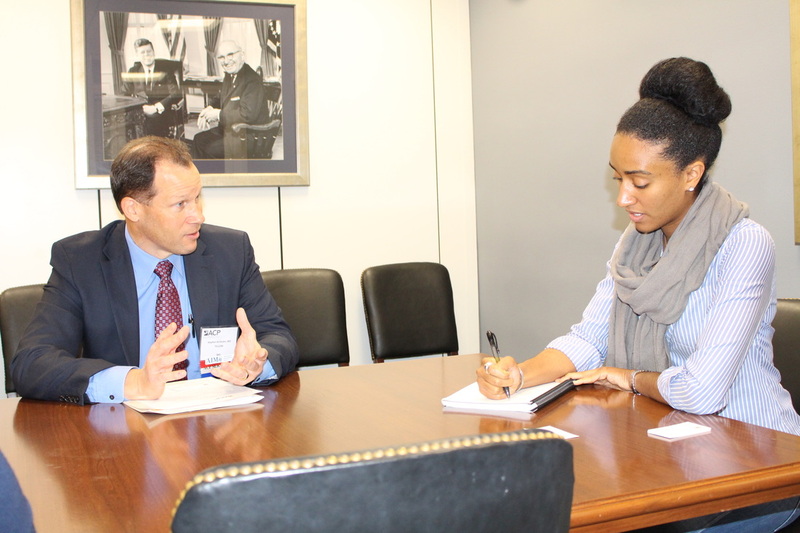 They meet with elected officials and health aides to advocate for patients. 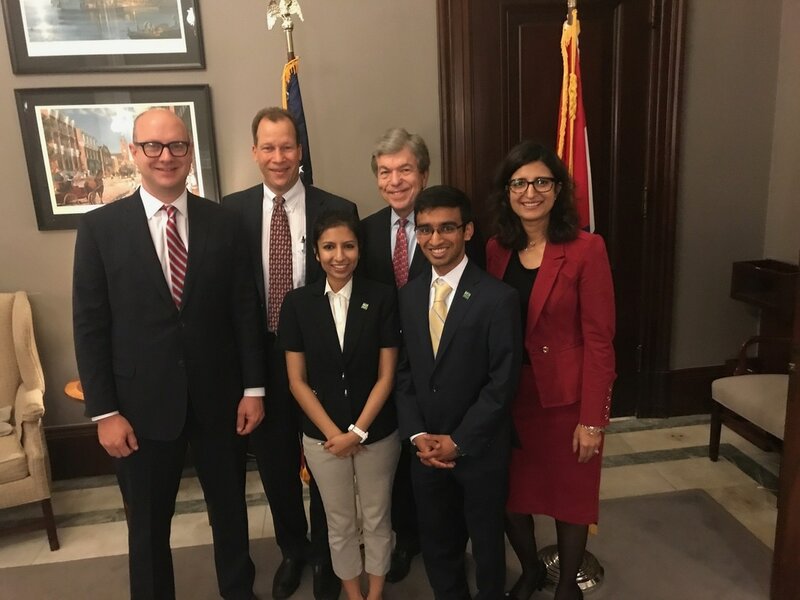 Our 2017 contingent Drs Fred Buckhold, Steve Keithahn, ​Rimmy Garg - SLU SOM, Senator Blunt, Rahul Maheshwari - UMKC SOM, and Dr Fariha Shafi. 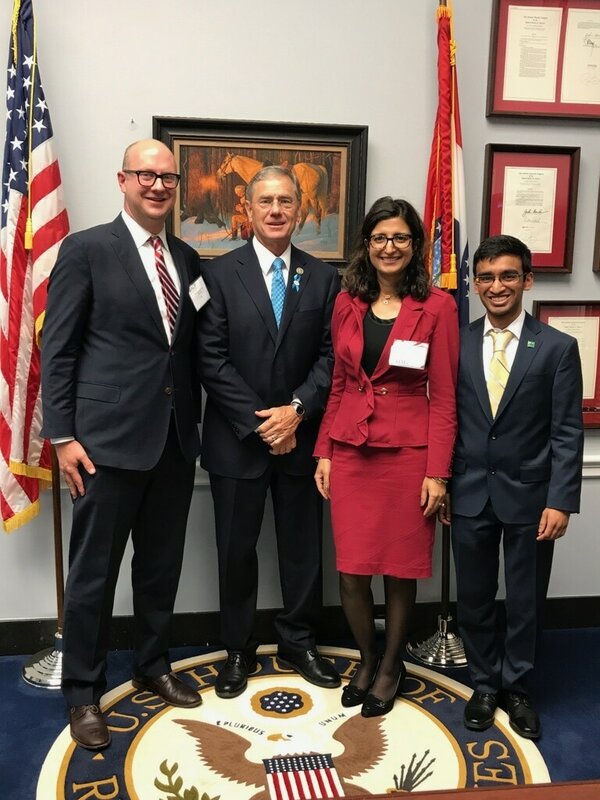 Dr Fred Buckhold, Rep. Luetkemeyer, Dr Fariha Shafi, and Rahul Maheshwari making Hill visits May 2017. 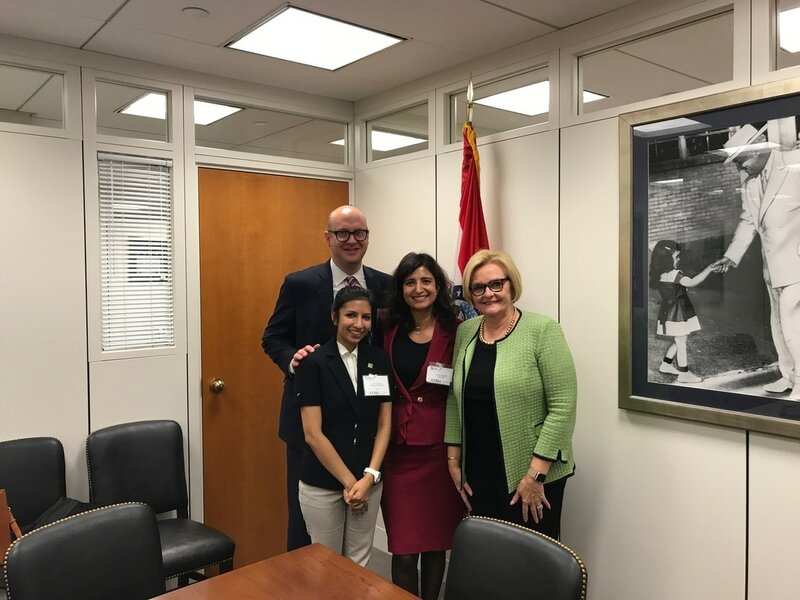 Rimmy Garg, Dr Buckhold, and Dr Shafi with Senator McCaskill.